Do you study Bible History with your students? We do read the Bible and have followed several Bible curricula, but we have never really focused too much on the history aspect of things outside of talking of the sequence of events or stories and sometimes discussing concurrent world affairs. That is why we were very excited for the opportunity to review Drive Thru History® “Acts to Revelation” by Drive Thru History® and perhaps gain a new perspective of the events and culture of the New Testament church. We follow the host Dave Stotts as he explores the sites and paths of the first Christians. Using the New Testament books Acts through Revelation as a ‘road map’, we get to see the roads traveled on, the cities lived in, and some of the structures connected to the stories of the first church. This series has eighteen episodes, each thirty minutes long, which allows us to visually walk in the steps of those that came before. We start in Jerusalem where the Holy Spirit fell on the three hundred in the upper room and travel with the Apostles and Paul to Damascus (seen from a distance), Cyprus, Thessalonica, Athens, Corinth, Rome, and Patmos, to name a few. We also walk through the imprisonment and martyrdom of some of these early leaders and really see what it means “to count the cost” for Jesus. This series, not only provides a visual Bible History lesson in each episode, it also a study guide to help direct discussion and further learning. Each episode has a Bible verse, summary, discussion questions, Bible reading, beautiful pictures from art or historical structures, and a “Side Road.” The “Side Road” is a section where additional historical and Biblical facts can be found. Here you will find at what church did Paul stay the longest and learn a little about the Praetorian Guard. Answers to the discussion question can be found in the back of the guide. We really liked this series. Although we didn’t do much with the study guide, we did watch an episode for Bible History class each morning. It was a very pleasant way to start our school day. Unlike some hosts, Dave Stotts is pleasant to listen to and occasionally funny, which hold the attention of my younger students. Although aimed for students in the sixth grade, my second grader and fourth grader enjoyed watching it. I will say there is a lot of information in each episode, and my kids will probably benefit from watching it again when they are a little older. 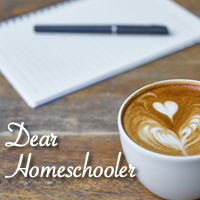 Check out more reviews by the Homeschool Review Crew by clicking the banner below.